Thanks to the Xbox One’s backwards compatibility features, I was able to load up the Xbox 360 version of Red Dead Redemption and quickly jump online. Unfortunately, I discovered RDR1’s multiplayer progress is tied to your save file, not stored on a server, so I had to start over from level 1. I whistled for my horse and instead a donkey ran over to me. I had forgotten that when you first start RDR online you only get a donkey. 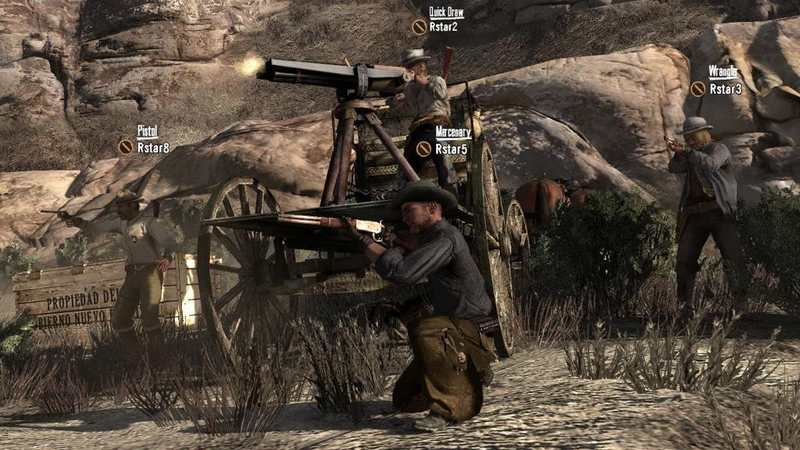 Red Dead Redemption multiplayer gives players the option to join standard PVP servers or peaceful servers, where players can’t hurt each other. Considering one of the biggest problems fans have with GTA Online these days is other players killing them, it was nice to revisit a quieter time. Though I enjoyed my zombie character, its undead moans and yells annoyed me, so I switched to someone more alive. 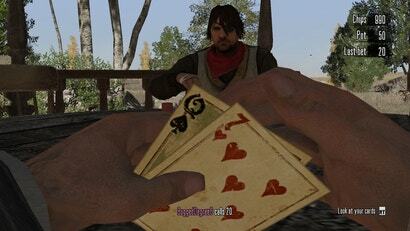 Unlike GTA Online, RDR multiplayer uses premade characters, many ripped from the main game. 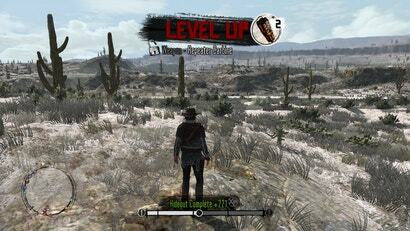 You can play as John Marston, Abigail Marston, rival gang members, zombies, lawmen and more. Players also unlock mounts by levelling up, along with new characters and player titles. Unlocking items instead of buying them might be the biggest difference between GTA Online and RDR multiplayer. In GTA Online if you want a new car you have to buy it from the store; in Red Dead you have to level up to unlock it. The lack of needing to buy new items and weapons gives RDR a more relaxed and less grindy vibe compared to GTA Online. 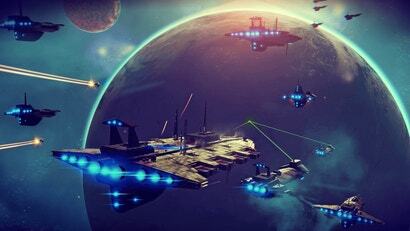 A similar system could be a great fit in Red Dead Online and could help make it feel different from GTA Online. 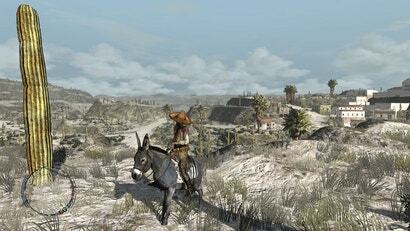 Unlike GTA Online, there isn’t a lot to do in the open world of RDR. The deserts look great, even eight years later, but they’re huge. Getting around RDR online can feel like a chore. Even with a horse, there are a lot of steep rocks, canyons and hills that force you to take dirt roads. There isn’t the busywork or stress you might feel in GTA Online, but it makes RDR online feel less structured. I found myself longing for shortcuts or easier-to-use fast travel. The empty, free-roaming open world in RDR online is basically just a fancy lobby. Rockstar even described it this way in a trailer for the multiplayer mode. In free roam, you and some friends can team up and take down gang hideouts, start land grabs or hunt some dangerous creatures together. Land grabs are maybe the most interesting thing that happens in the open world of RDR online. 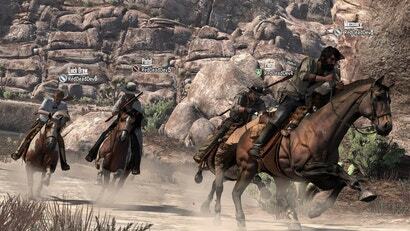 A single player or their posse can ride into an area and “claim” it. Everyone else on the server can attack and try to take it back. It reminded me of the open world events that occur in GTA Online, and it made the server feel more active and alive. However, kill-happy players and inconvenient spawns—once I was sniped by a unseen player, respawned and then was instantly killed by that same player because I spawned closer to them—make it a little more frustrating than GTA Online. Luckily, after a few deaths you can choose to spawn far away from the area where you died. Rockstar has long struggled to reduce griefing and encourage cooperation, an effort that will hopefully continue in Red Dead Online. Outside of free roam, Red Dead Redemption has a lot of different modes to play. These modes are grouped into different playlists, which side steps one of GTA Online’s issues with empty lobbies and game modes. In GTA Online players pick one particular mode to play out of a list of well over 50 at this point. This creates a situation where the entire GTA Online population is spread across too many activities, modes and events. As more modes are added it becomes harder and harder to find more players for specific modes or older modes. 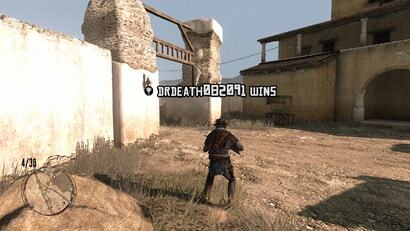 In RDR, I was surprised to find nearly every match I joined filled with at least a few players. Even when I did have to wait a while to find some folks, I wasn’t just staring at a lobby screen. Instead, I was actually able to walk around the world, punch other players and, depending on the mode, pick a loadout. The first modes I messed around with were some basic deathmatches and capture the flag modes. Some were team based others were free-for-fall. None of them were much fun. RDR’s combat and movement controls haven’t aged well, and they feel clunky and slow. But I was happy to find that my old RDR pro strat for winning deathmatches is still viable in 2018: never sprinting. Sprinting makes you appear on other players’ mini-maps. If you want to win deathmatch, always walk around matches like a stoic cowboy, and you’ll win or at least get top three most of the time. 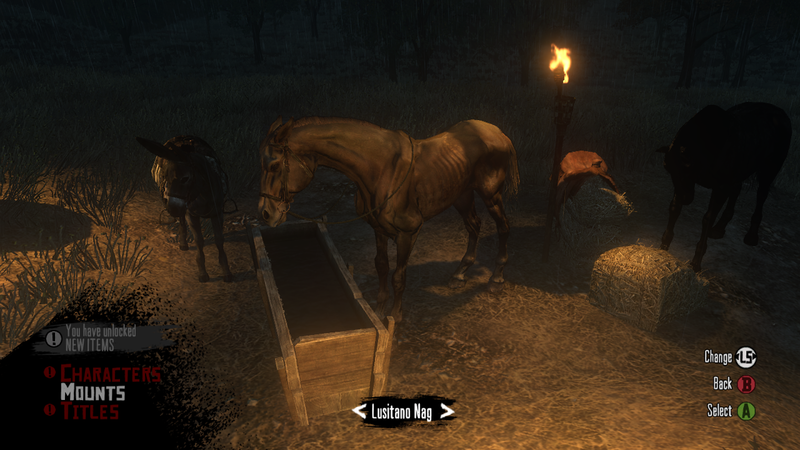 The next mode I jumped into was from Red Dead’s Undead Nightmare DLC, called Undead Overrun. This is a fast-paced mode where four players work together to fight off waves of zombies for as long as possible. While not the most advanced, the game mode feels better suited to Red Dead’s gunplay, especially when using shotguns. I found a full team instantly, though they were all higher level than me. One mentioned they were coming back to Red Dead 1 to get more hyped for RDR2. He also hoped Undead Nightmare returns in some form in RDR2, and I agreed. The final mode I played was completely different: poker. Again I was able to quickly find a match with three other players. I jumped into poker expecting to briefly remind myself what it was like and then jump back out, but I ended up playing for over an hour. It was just a chill session with some guys who were nice on mic, a way to unwind after killing zombies, stealing gold and shooting horses. One player at the table asked if anyone was getting RDR2. The other player with a mic shouted yes, but quickly followed it up with “I really hope they bring poker and card games back.” Good news for that player: it looks like card games are coming back in RDR2, though we don’t know if they will be playable in multiplayer. My biggest hope for Red Dead Online is it returns to the more relaxed, slower pace of Red Dead 1’s online component. While GTA Online has been fun and I still want to play more of it as new updates come out, I’m ready for something different. I hope Red Dead Online builds off of GTA Online’s success but remembers the past. Deathmatches and horse races are great, but I also just want to relax, play some poker or go fishing. Returning to Red Dead Redemption’s online multiplayer after playing five years of GTA Online was strange. The combat and gameplay felt sluggish and crude, but the progression and overall vibe was appealing. 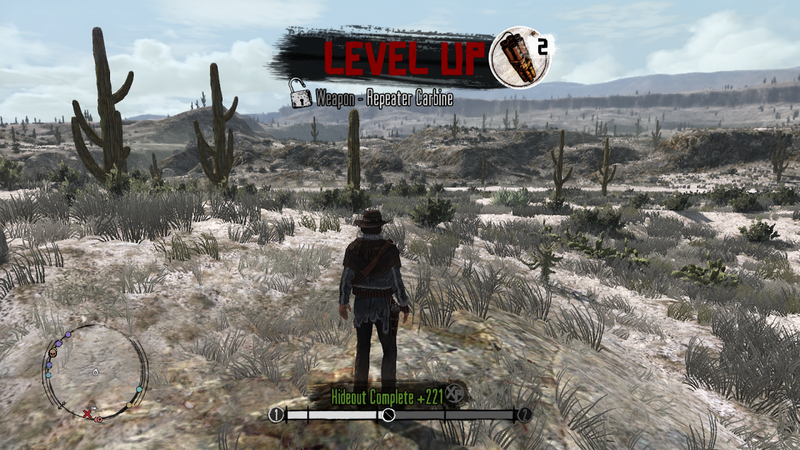 I levelled up at one point after just riding my horse around and shooting coyotes, and that new level felt meaningful thanks to the unlock system. I was able to get a new horse ... who looked almost dead. Still, better than a donkey. Cry some more as a fly past you in my rocket-powered hoverhorse, peasant. When you really think about it GTA:O just expanded on the foundations that RDR's multiplayer mode had built. Both are/were a mess and I doubt it'll change, glitches & micro-transactions for everyone! Oh it's absolutely going to happen without a doubt. Red Dead didn't have Australian servers. Or at least the inability to select them, as they were most likely full of US players who had spilled over. 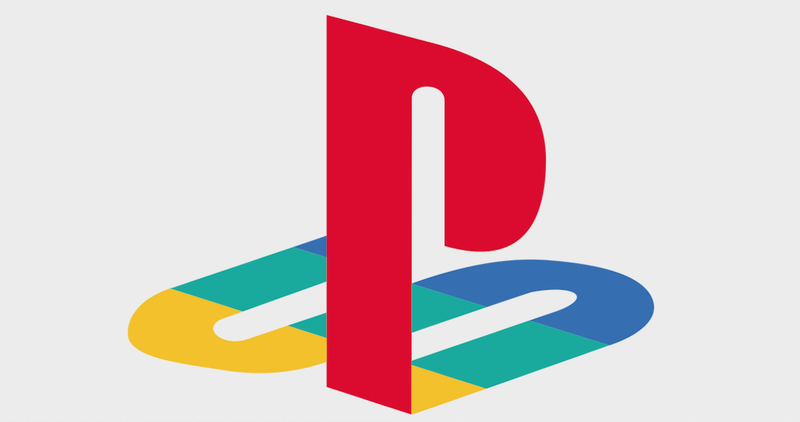 Multiplayer during the 360 and PS3 period was kinda broken. One of the best components of RDR's multiplayer was the co-op missions. A good friend and I played those over and over, and each time was an absolute blast. I really hope they put some into RDR2 as well.